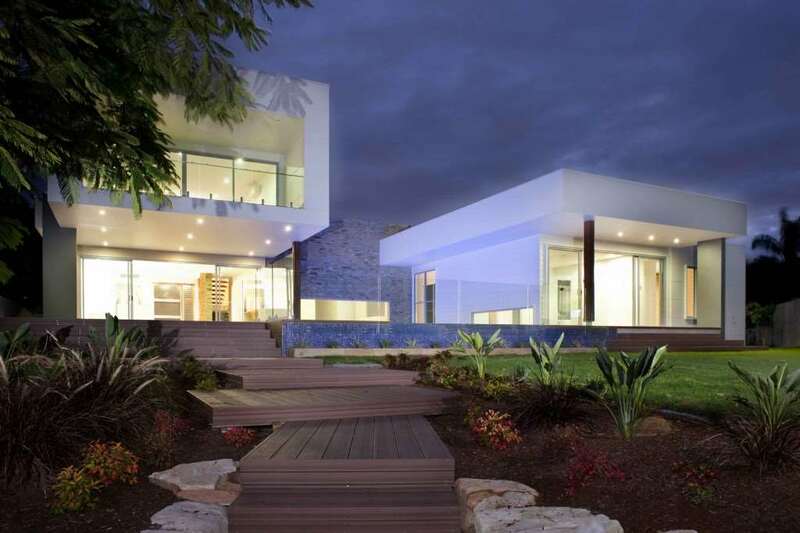 Yes, that’s right – I have another brand new holiday house on the beautiful Gold Coast to show you! This is Hidden Paradise, a stunning new home with 5 bedrooms and 4 bathrooms, sleeping up to 10 people. And isn’t it beautiful! It’s in a fantastic position for a Gold Coast holiday – just a flat, 15 minute walk to either Surfers Paradise or Broadbeach. They’re both great areas with plenty to do, including cafes, restaurants, nightlife and beaches. 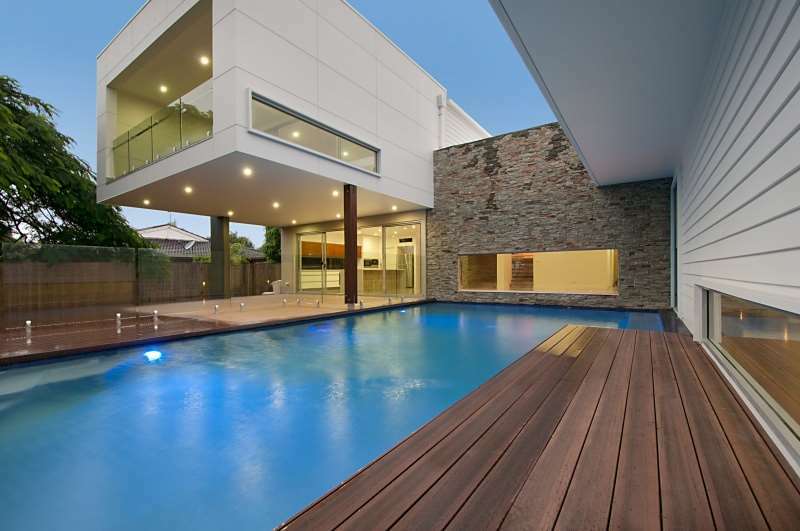 The pool fits in seamlessly with the rest of the house and there are plenty of outdoor areas from which to enjoy it. A terrific spot for keeping cool this summer. And this is why we call it Hidden Paradise! 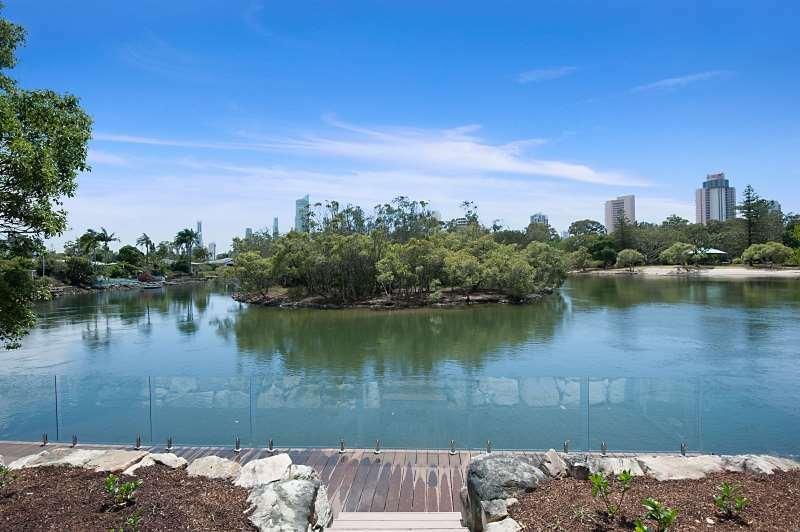 This home is right on the waterfront with lovely, tranquil views across to the Cascade Gardens and then on to Surfers Paradise and the distinctive Q1 – a real hideaway! The inside is just as thoughtfully designed as the outside – this is true 5 star luxury, with tasteful, elegant furnishings. 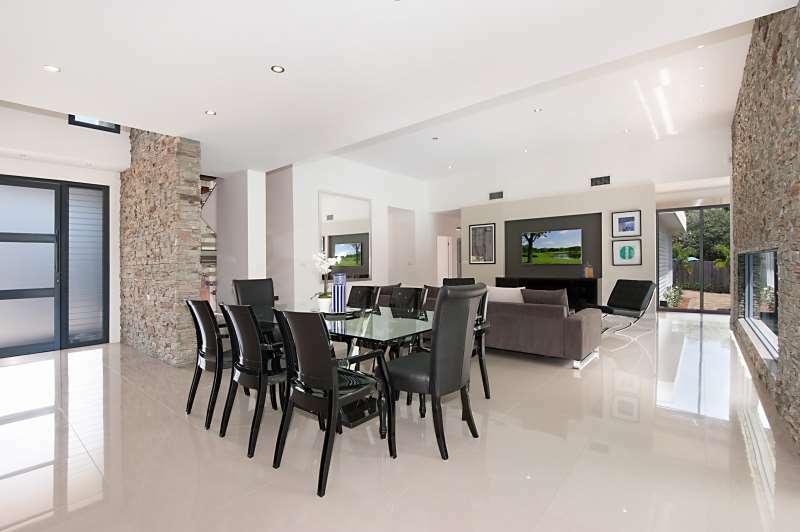 We haven’t forgotten the trimmings either – the kitchen is fully equipped with Miele appliances and a coffee machine, plus you’ll find an X Box, pool table, air conditioning. And that’s not even mentioning the FREE internet, Foxtel and DVDs. Call us on 07 5592 3881 (or +61 7 5592 3881 if you’re overseas) for more details or to make a booking or send us an enquiry.